Brochure from microbiology of the built environment #AAASMoBe meeting – microBEnet: the microbiology of the Built Environment network. 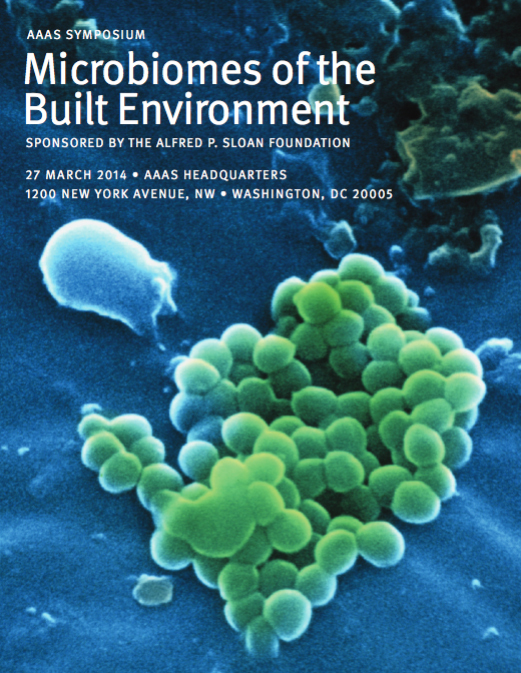 Quick post to make available the brochure from the AAAS Microbiomes of the Built Environment meeting that was in DC recently AAAS MoBE Symposium Brochure 2014-2. Videos of some parts of some of the presentations are available at AAAS’ own web site: http://www.aaas.org/news/microbiomes-built-environment. Lots of great info in an efficient delivery. If you scroll down you will find part of Jonathan Eisen’s presentation in Panel 1 â€” Indoor Microbiomes: the Diverse Microbial Communities Existing within our Buildings.